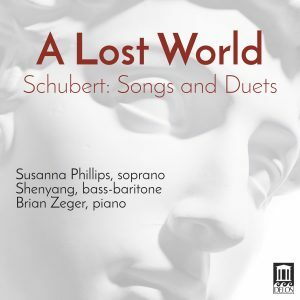 Introducing A Lost World's Bass-baritone: Shenyang | Delos Music | Outstanding Classical Recordings for over 40 Years! Bass-baritone Shenyang, 2007 BBC Cardiff Singer of the World and 2010 winner of the Montblanc New Voices at Stars of the White Nights Festival, embodies a 21st-century bridge between the cultures of East and West. 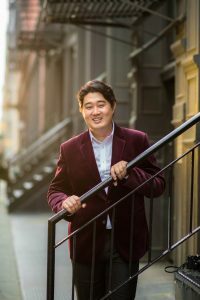 He appears frequently at the Metropolitan Opera, in repertoire from Mozart to Puccini, with such conductors as Fabio Luisi, Sir Andrew Davis, and Marco Armiliato. His celebration of the human voice was spotlighted as Artist in Residence of the Shanghai Symphony Orchestra in 2011-12 in numerous programs conducted by Long Yu with repertoire ranging from Bach and Mozart to Mussorgsky and Mahler. During the 2017-18 season, he expanded his repertoire to include operatic roles by Wagner and R. Strauss. As featured soloist, he has performed in Europe, America and Asia with James Levine, Daniel Barenboim, Sir Antonio Pappano, Jaap van Zweden, Rafael Frühbeck de Burgos, Daniel Harding, Harry Bicket and Paavo Järvi. He sang the world premiere of Tan Dun’s Passion of Bhudda under the composer’s baton with the Munich Philharmonic Orchestra. In 2015, he appeared with the Stradivari Quartet at Shanghai’s Symphony Hall to perform a specially commissioned arrangement of Schubert’s Winterreise.